The Ford Dorsey Program in International Policy (MIP) trains leaders who will influence policy in international trade, security, cyber policy, political and economic development, energy and the environment, and global health. Students receive an MA in International Policy. The MIP program combines a rigorous scholarly focus with practical training designed to prepare students for careers in public service and other settings where they can have an impact on international issues. The program is interdisciplinary and designed to integrate perspectives from political science, law, economics, history and other disciplines. Additionally, the MIP program incorporates research opportunities and a focus on implementation and administration of solutions addressing global problems. 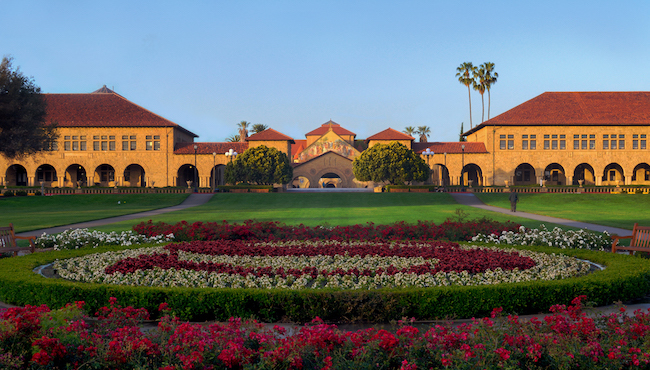 MIP takes a unique approach to international policy analysis, offering a dynamic learning experience that utilizes Stanford University’s exceptional resources. The core curriculum in political science, economics, and international relations can be augmented with courses in social entrepreneurship, data science, and human-centered design. To enhance student learning beyond the classroom, the program offers a summer internship program, a capstone practicum course, and a speaker series, exposing students to policy analysis and problem solving in the real world. In addition, small class sizes provide students with personalized attention and easy access to faculty and staff. In addition, MIP is part of the Freeman Spogli Institute for International Studies (FSI)—one of Stanford’s most prestigious research organizations. Our students are taught and mentored by FSI faculty, participate in FSI conferences and speaker events.